Don’t get me wrong, I love Slade, Mariah and The Pogues as much as the next person. Wizzard takes me back to happy memories of munching on Christmas lunch at primary school, and I’m convinced Coldplay’s Christmas Lights is a modern classic. But I’m also keen to get hold of Christmas music that doesn’t just max out on sleigh bells and references to Santa, but actually comes from a Christian perspective and savours the events of the seismic birth of Christ. Sovereign Grace Music have been churning out Christ-exalting congregational music for the last 30 years, and have increasingly become a serious part of the UK Church scene over the past decade. 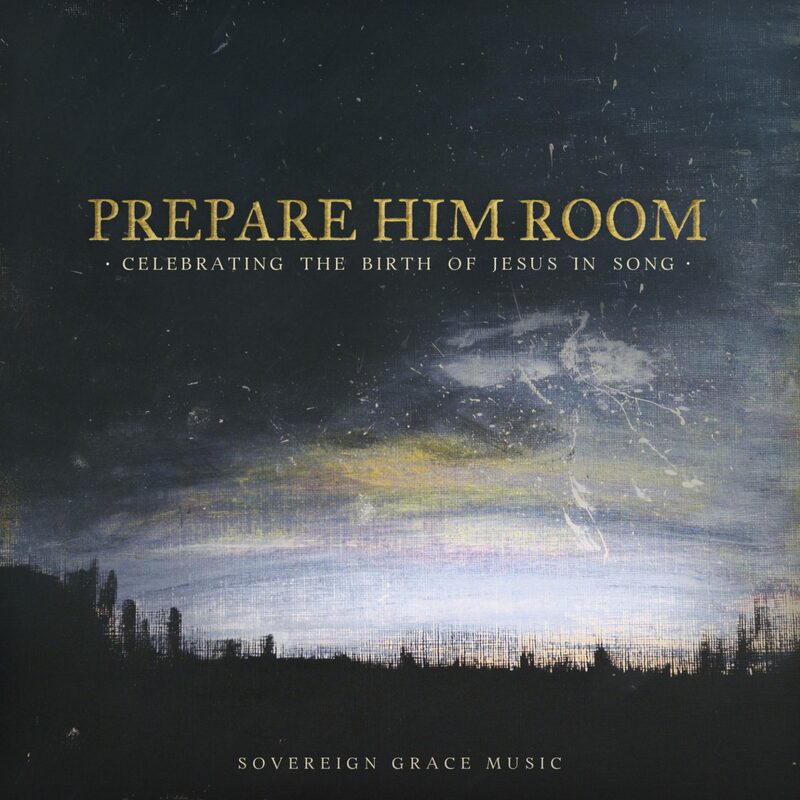 Prepare Him Room is their attempt to capture the mystery of the incarnation, the Son of God taking on flesh and bones to save us. As the stand-out track puts it, “Who would have dreamed, or ever foreseen, that we could hold God in our hands?” Some new versions of classic carols, but a heap of well-crafted originals too. Think big choruses, theologically rich lyrics, lavishly orchestrated arrangements. Buy: It seems tricky to get hold of the CD in the UK, so iTunes (download) is probably your best bet. The Slugs & Bugs project has been described as “the Pixar of Christian family music”. In other words, it’s really well done, it’s lots of fun – and the adults will be humming along as much as anyone else. Part of the vision with their ‘Sing the Bible’ albums is to put Bible verses and passages directly to some really catchy and creatively arranged music. In this album, Family Christmas, Goodgame takes various bits of Scripture related to the birth of Jesus and has created songs inspired by the jazz piano music from the Charles Schulz Peanuts Christmas special, which for him is a key memory of Christimas. Frankly, it’s a delight! The kids love it, we love it, and it doesn’t come across as a ‘kids album’ at all. Buy: The Good Book Company (CD) or iTunes (download). 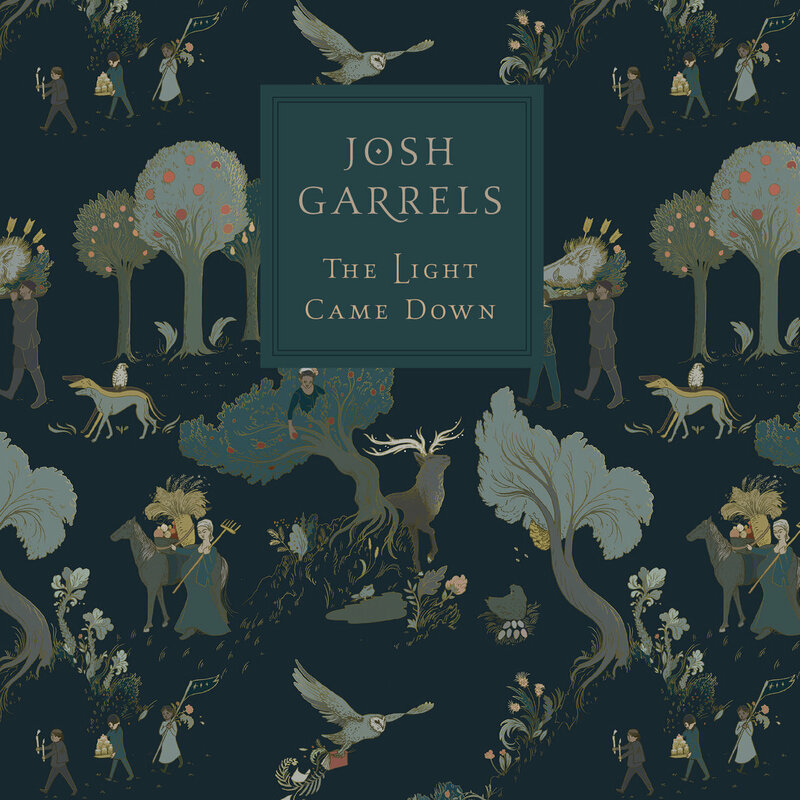 If you’ve not yet discovered Garrels, he’s a hidden treasure well worth becoming familiar with! An independent singer-songwriter from Portland, Oregon, he crafts spine-chillingly beautiful albums in his home studio, often inspired by the wild and uninhabited landscapes of his Pacific Northwest, mixed in with honest and haunting reflections on the Christian faith. The Light Came Down is his ‘Christmas’ album – in a sense – but it’s about as far from Mariah Carey as you can get. A mix of familiar carols played in his own style, as well as home-made creations, it’s perfect for putting on in the background for these long December evenings. You’ll find yourself humming and singing along to his delightfully tender vocals and creative instrumentation. Listen: Here for individual tracks or here for the whole album as one Youtube video. Buy: Download on Bandcamp or iTunes. What about you? What’s your favourite Christian Christmas album? R: Ok, so Awesome Cutlery – it sounds like something you say after too much time looking at John Lewis catalogues. Who or what is Awesome Cutlery?! 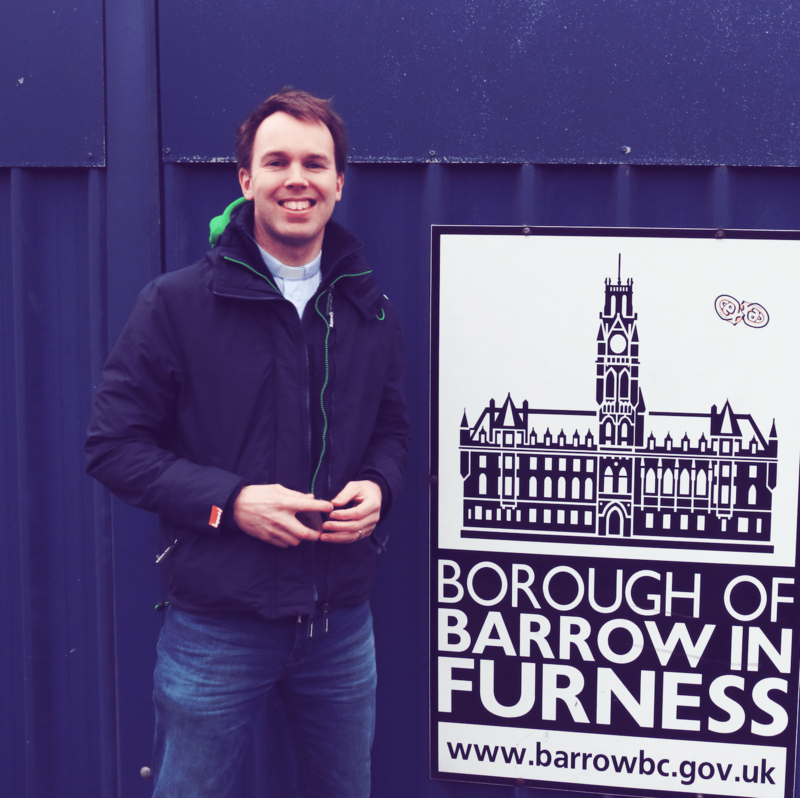 Gareth: Awesome Cutlery is Dan and me – we want to help families worship Jesus to gether. We’re really excited about our new album, which is all about God and what he’s done for us! The strange name comes from the two, well, they can tell you..
My name is Captain Awesomeness, and my superhero team-mate is Cutlery Boy. We thought about calling ourselves ‘Captain Boy’, but that sounded weird. R: And how did it all begin? Were you guys just jamming away one day, or did you set out to produce a full album right at the outset? Dan: We’ve known each other for ages, and have enjoyed playing music together at church. We started writing songs to sing with our own families at first. After a while we decided to attempt to write a full album, and from there the concept came together quickly. Sometimes, when you’re a superhero, you don’t know where your mission will take you. Maybe you don’t even know what your mission is. Maybe you don’t even know what the word ‘mission’ means. R: In terms of audience, who would you say Awesome Cutlery is aimed at? Dan: Awesome Cutlery is for whole families! Gareth: As we were going to record the album, I had a realisation in the car when my 2 year-old was singing along to some chart music. Children don’t need us to talk down to them musically, so we’ve gone for songs that families can enjoy together. Even though some concepts are beyond younger listeners, they can grow into understanding as they get older. We don’t tend to aim the cutlery at anyone, especially not the forks. They’re sharp. R: There seems to be plenty of Christian music aimed at children around. Obviously you guys have put a lot of time into this because you really believe in what you’re doing. What’s unique about Awesome Cutlery? Dan: Yes, there’s lots of great music out there. But a lot of the stuff is American or Australian, or a bit childish for repeat listens as a family. We wanted to make something family-oriented with distinctively British style and humour. R: When I listened I was actually really impressed with the quality of the listening experience. How have you gone about the process of writing to recording? Dan: We wrote LOADS of songs first, most of which didn’t make it onto the album. Then we recorded very basic demos to get feedback from families, musical friends, and people involved in children’s ministry. Then we got in touch with the Weeks brothers (Dan, Will and Matt) who are musical superheroes – they made everything sound 800 times better! Gareth: I remember Will adlibbing the bass part for ‘God is bigger’, and it was phenomenal! We then found out that he pays bass on tour for a major Christian music artist, so Awesome Cutlery and Matt Redman actually share a bass player. Heroes have to think on their feet. That was a bit tricky as sometimes I was sitting down. However, I just tried to talk as loudly as possible into the microphone, and it all seemed to work okay. R: Ok, last question: How can people find out more, or even buy a copy themselves? Dan: Go to awesomecutlery.com and click BUY! We may have other stocking options in the future, but the best and cheapest way to support us will always to be buy direct. Our Resources page there has free sheet music, lyric videos, and we’ll also be posting a videos showing how you might play the songs in a church music group. Gareth: Finally, you can Like us on Facebook.com/awesomecutlery, where you can also join our mailing list. Who knows, we may release another album or visit a church near you! We’d love people to stay in touch! Can you complete the lyric from our song ‘He has Risen!’? Entries need to be in by midnight on the 27th April after which the winner will be contacted by email. This Is Awesome Cutlery is the best Christian family album that you’ve probably never heard of. Ok, first-off, you’re probably wondering what’s with the strange name. Awesome Cutlery consists of two “super(ish)heroes,” Captain Awesomeness and Cutlery Boy, hence Awesome Cutlery (I’ll leave you in suspense as to how exactly those names translate into super powers). But behind the masks, AC is made-up of duesome twosome singer-songwriters, Dan Adams and Gareth Loh. 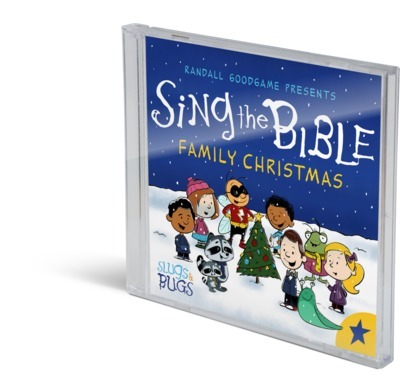 Together they’ve created a fab collection of twelve family-friendly songs, often delightfully energetic and cheerful in nature, interspersed with six ‘sketches’ in which our two heroes interact and ‘tee up’ some of the big truths about God which are then picked up in the music. And if you’re thinking, “ok, Christian album: predictable lyrics and monotonous budget-level music,” then I’m pretty confident you’ll be pleasantly and significantly surprised. For a start, Loh and Adams don’t half know how to write a song. We’ve all bought albums where there’s a couple of catchy songs cased in a fair amount of chaff, but that’s not what’s going on here. In fact, there’s so many stand-out tracks that our personal ‘family favourites’ keep on changing: there’s the hilarious ‘God Made Everything’, which manages to thank God for everything from aardvarks to tutus (as well as “cranes, brains, and mainframes”); there’s the surprisingly anthemic ‘It’s a New New Day’, which is often the opening track for many an early morning car journey in the Ham household; there’s the super-catchy ‘It’s a Light and Hammer’, a punchy-pop celebration of the power of God’s word. But it’s not just the totally memorable melodies. The production and instrumentation throughout the album is absolutely fantastic, and it just works together to create a really strong and varied sound. Credit where credit’s due to the production team of Dan & Will Weeks, who have done a thoroughly impressive job. It’s like an earthworm trying to do press-ups, it’s like a potato trying to swim; it’s like a mountain trying to brush its teeth, when we don’t rely on him. When we pray we trust our Father, that’s what Jesus said; so I’ll stop trusting in myself and pray to God instead. It’s typical of the album: fun lyrics that don’t shy away from meaty theological truths, but all the while presenting them through totally singable tunes and thoroughly understandable language. Another example is Justified, which reflects on the wonder of the doctrine of justification by faith (in other words, that because of Jesus’ death for us, it’s not just that our sins are forgiven but that we’re clothed in Christ’s righteousness). You’d instinctively think that would make for a rather stodgy kids’ song, but AC put it beautifully simply: “Justified, justified; it’s just as if I lived Jesus’ life”. It’s really no exaggeration to say that since we got this album at Christmas it’s been an almost permanent feature in the car CD player, and that’s down to the grown-ups as much as the kids. The only frustration is we don’t have a second copy for the house. In conclusion, I was trying to put my finger on why I love this album so much. Yes, there’s the really bouncy, creative, and diverse sound. Yes, there’s the way they manage to clearly and attractively capture theological truths that many a theologian and church minister have made a muddle of. All excellent virtues for a Christian album, in my book. But I think what I’ve especially enjoyed about Awesome Cutlery is that Dan & Gareth have created such a fun listening experience to share together as a family. They’re never trite or patronising in tone, and they manage to steer away from cheesiness too. I think it’s the irresistible way they evidently don’t take themselves too seriously, as they portray these slightly silly but totally lovable characters who explore who God is and how we can trust him. You can download the eighteen-track album for £8, or order a CD for a tenner here.